Fans have theorized the storyline for Season 7 and what the theme could be for the next season. Long ago, there were 5 different kingdoms, each master of an element. They lived in peace, but that all changed when the fire kingdom attacked. The fire kingdom, under the command of its powerful king, swept across the different kingdoms and defeated them, until the only one left was the ice kingdom. Thus began the great war, a battle of fire and ice. Note that during this war, a barbarian outpost of the ice kingdom mysteriously disappeared. We know that this village was actually transported from the past to the present when the rifts connected Space-time at the beginning of S5. This village contained the Viking Skins, as well as Valkyrie and Ragnarok. In the past, the war raged on. The fire kingdom was winning, so the Ice King led an all out assault. 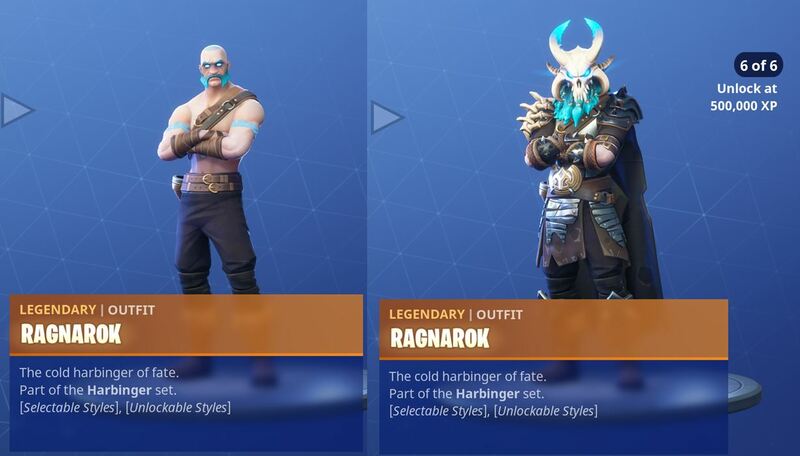 They were able to capture the Fire King and chain him up in the dungeons of Polar Peak, but the Ice King knew he would escape, so he sacrificed himself and his kingdom, covering everything in a deep freeze, permanently freezing everyone in it forever. This cold was too strong for the fire king, and it kept him trapped. Fast forward to the present. The war is long forgotten, only seen as a myth. However, the place remained a frozen wasteland, only allowing the toughest to survive. One of these people is Sgt. Winter, a brilliant mechanic. He was able to invent the AIM Robots and Biplanes. While exploring, he found the Infinity Blade, which he would use as another source of unlimited energy (he uses the sword in the S7 trailer). When the Kevin events occur on the main island, Sgt. Winter senses it and realizes its a more powerful energy which can be used to help his people. So, using his tech, he literally breaks off some of his land and sails it to the BR island. He then uses his biplanes and his army of Slushie Soldiers to try and invade it. But as we know, the BR island has seen some stuff, and they’re able to put up a fight. Sgt. Winter’s army however is still able to establish “expedition outposts”. However, Sgt. Winters moving the land had unexpected consequences. The move to a temperate island increased the surrounding temperature of Polar Peak, slowly reversing the deep freeze put into effect by the Ice King. While the difference isn’t too drastic, its still enough for the Fire King to awake and start using his powers to escape his icy prison. 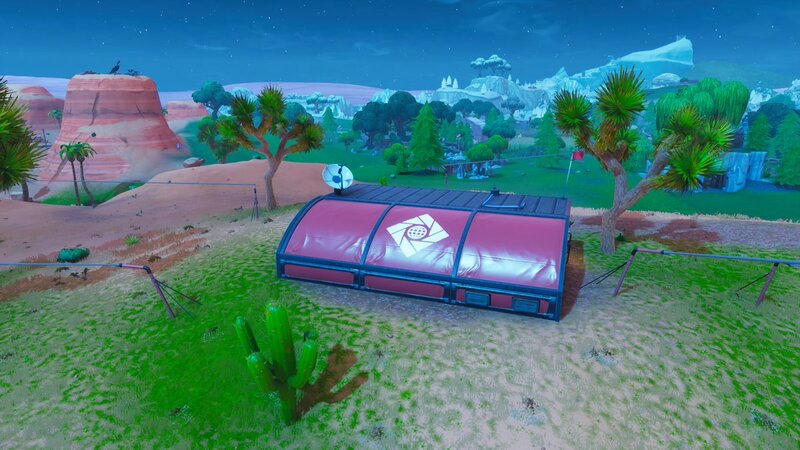 This is why Polar Peak is slowly thawing out. 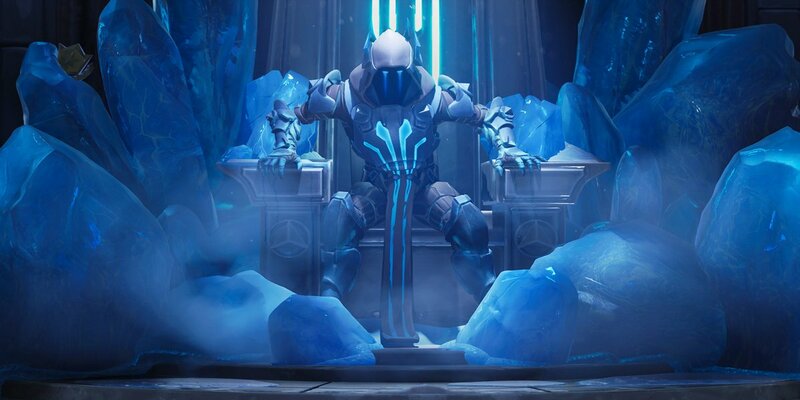 The Ice King awakes too and is surprised, because if he awoke from his frozen slumber he knows the Fire King is returning (hence the name of this week’s secret loading screen and its description). 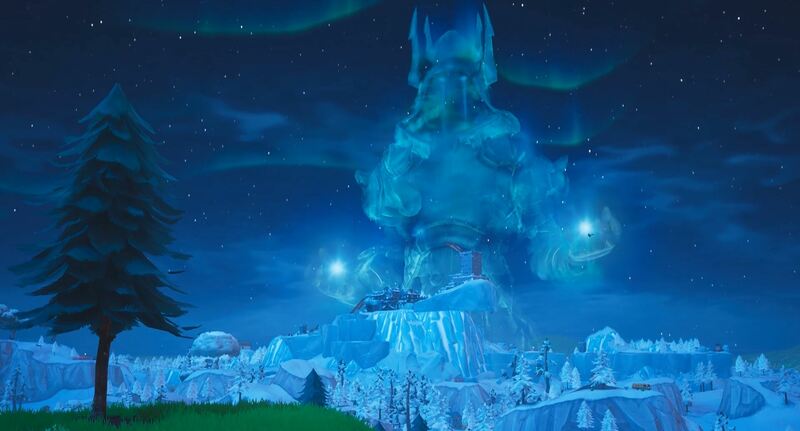 In order to keep the fire king imprisoned, the Ice King uses a piece of Kevin to amplify his powers and cover the island with snow. By doing this, he also creates the ice cube monsters (the leaked Ice King event). He doesn’t want to invade the island, it was just caught in the middle. But its too late, the Fire King escapes and starts battling the Ice King. After the battle, the Fire King eventually prevails (the end of the Ice King event will probably coincide with the beginning of week 9, the official release of the snowfall skin and when the dungeon will fully thaw). However, the Fire King heats things up too much. By melting all the ice in the snow areas around Polar Peak, he makes a lot of extra water that floods big chunks of the island. Season 8 will be an underwater themed season, as shown by the multitude of items in the battle pass and released skins which are underwater themed. What do you think about this theory? Will part of the island be submerged in water?